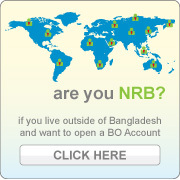 As part of its ongoing effort to improve market infrastructures, the Bangladesh Bank (BB) has opted for the use of an electronic registry for its Treasury Bills (T-bills) to foster the development of a secondary market in T-bills in Bangladesh. The Central Depository Bangladesh Limited (CDBL) has provided the infrastructure for BB's electronic registry by linking up all banks participating in T-bills auctions to the Central Depository System (CDS) of CDBL. Ensuring an up-to-date record of owners, which would be as current as the last transfer recorded in the system. Ensuring timely receipt of maturity payments by enabling investors to designate bank accounts where payments can be credited. Providing an efficient and reliable infrastructure for an electronic registry of scripless T-bills including the registry system, the telecommunication link and the software for the user terminal workstations. Assigning ISIN (International Securities Identification Number) codes to every T-bill issue to be recorded in the electronic registry. Setting up the ISIN Master in the registry system based on information received from BB including key data for each ISIN code: issue date, maturity date and offer price of the T-bill issue. Updating the registry system with Interface Files received from BB. Maintaining and testing backup and recovery provisions to ensure continuity of service. Providing Help Desk support to BB and all other system users during working hours. Reporting to BB any and all problems affecting or with potential effect to the scripless T-bill registry together with a plan of remedial action. Dial-up phone line (PSTN) or Dedicated leased line. to adhere to CDBL's prescribed security standards, such as use of Login ID and password and function segregation. to warrant that all instructions inputted to the registry system, when affected in the registry, are valid and binding among parties concerned. The manual records T-bills outstanding have been converted to an electronic registry, with online linkage to banks that participate in the primary market. The electronic registry contains the names of the primary market participants (banks), and that of any investor buying T-bills (in the secondary market) in a separate Beneficiary Owner (BO) Account in his / her name at the BB electronic registry. Investors (retail and institutional) will thus be able to open accounts in the registry under their names through any of the participant Banks. Participant Banks holding T-bills may sell their holdings to other Banks, institutions or their clients. The terms of the secondary market transaction is mutually agreed upon by the buying and selling parties using any mode of communication agreeable to both parties (e.g., phone, fax or in person). This is called over-the-counter (OTC) trading, i.e., as opposed to trading on an organized exchange. The CDBL system has facility to allow participants to enter direct transfer or deliver and receive instructions online which the system will match in the latter case. The system will record debits and credits corresponding to matched deliver and receive instructions on the specified settlement date if there is sufficient balance in the delivering participant's securities account. With this infrastructure, transfers of ownership in the T-bills electronic registry will be undertaken directly into the investor's account. Bangladesh Bank's Open Market Operation Department (OMOD) participates in the T-bill secondary market in the exercise of its liquidity management function. Like the other registry system users (banks), OMOD will use the registry system to input deliver and receive instructions for their reverse repo and repo transactions, respectively, in order to effect the transfers of ownership in the registry system. Participants can print their own Statements of Account using their own terminals, including statements for clients who opened accounts through them. Statements can be generated as often as necessary showing the beginning balance for each T-bill held by the holder, the transactions for the period and the ending balance. BB can also print the Statements of Account for the registered holders of T-bills at any predetermined frequency. Some of the above functionalities can be usefully deployed in the creation and development of a vibrant secondary market in Treasury Bills.